Welcome to the Jewish Early Learning Center, where we educate children ages 18 months-4 years old. Let us share with you some insights into what makes us so unique. How do you get a young child to separate from their family, to love school and to love learning , while abiding by the structure and new routine of a classroom? At the Jewish Early Learning Center, we believe we have the answer! Make the school exciting and inviting. Out with rote learning; in with creativity and imagination. Make the teacher a beloved friend. Out with power and intimidation; in with care and respect. Allow children's innate inquisitiveness and imagination to blossom. We've designed a warm environment that empowers and encourages; that fosters exploration and celebrates curiosity. Classroom space is organized into attractive Learning Centers, with furniture and ambiance that inspires pure joy in learning. Whether children work alone or together, the educational materials, stimulating toys and skill-building equipment become the canvas upon which a sound educational experience is created. The Jewish ELC faculty consists of an unusually dedicated group of professionals whose level of commitment to each child does not stop at the classroom door. Our teachers serve as role models, displaying a contagious love for Judaism and a dedication to their students which is boundless. They understand the learning process and revel in the successes of their students. Two more elements complete our Center. The first is the children. We welcome them with open arms. They will be comfortable and secure. We will give them tools to develop healthy social attitudes, a positive sense of self, and a love of Judaism. Finally, there is you - the Parent. You are your child's first teacher. You are our strongest partner. 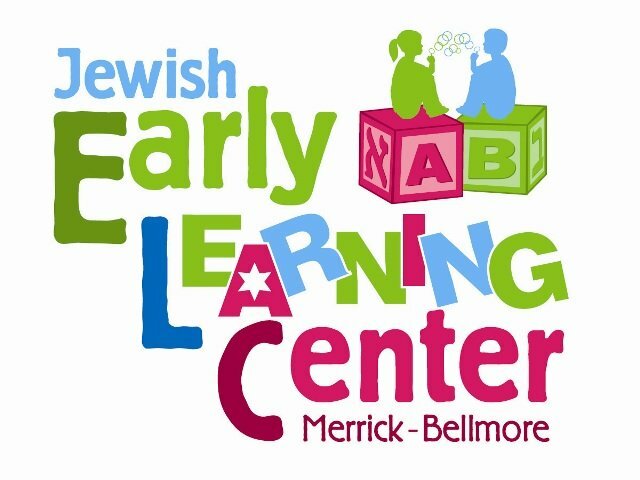 We value your input and will appreciate any time you can give at the Jewish ELC. Together, we believe that such a partnership will fan the spark of learning and create a rich program where your child will thrive. It is our hope that this website will help answer any question or concerns you may have. Nothing, of course, takes the place of direct contact between you, ourselves and the faculty. We invite you to call us at school anytime. Again, welcome to the extended family at the Jewish ELC. We look forward to a most productive experience! Our school is an affiliate of the Chabad Center for Jewish Life serving Merrick-Bellmore-Wantagh & Southeast Nassau, an organization that is dedicated to spreading the wonders and rewards of Judaism in a nonjudgmental and inclusive manner. Nearly a million Jewish children are touched via our schools, institutions, summer camps and extra curricular programs around the world each year. The Chabad centers everywhere serve the needs of all Jews, no matter their level of knowledge, observance or affiliation.